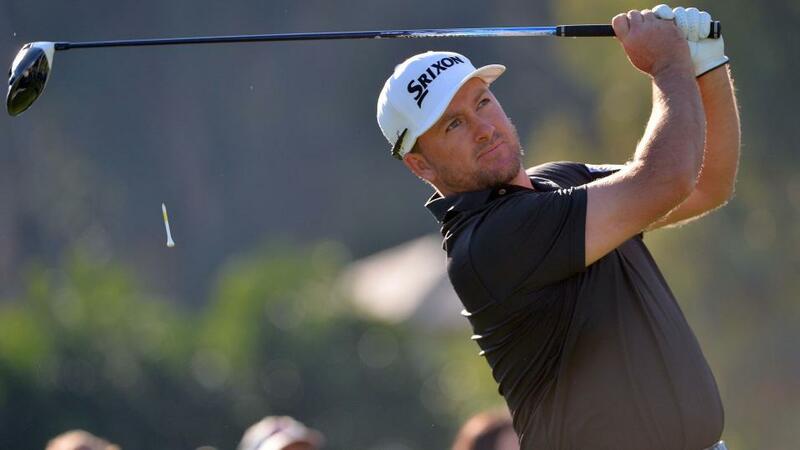 Should Graeme McDowell be 60/1 to triumph in a tournament he has won twice before? "Having been granted an invite to the co-sanctioned Open de Portugal last May by none other than the Chief Executive Officer of the PGA European Tour, Keith Pelley, Wallace hasn't looked back. He won that event and following victories in India in March and Germany last week, he's now won three of his 39 European Tour starts." It's a happy time for English sport and footie fan Westwood can hopefully throw in a low one on Thursday and then sit back and watch England play Belgium. That's the ideal scenario anyway. To be fair, Westy has opened with 66 in two of his last four starts, the latest coming at the Italian Open earlier this month where he landed this column some each-way cash with tied fifth after a closing 63. Le Golf National has always been his kind of track and the good finishes just keep coming. Solo fourth on debut back in 1994, he added yet another top 10 last year after T11 in 2016. And, finally, despite being named as one of Thomas Bjorn's four Ryder Cup vice-captains, Westwood still wants to return to this venue in three months' time as a player. "Of course, my ideal scenario is that I hit a hot streak of form over the summer and force my way in to the team," he said at May's announcement. Don't rule it out! Alexander Bjork's stats all point to another strong showing at Le Golf National and I'll happily back last year's third-place finisher at 60/1. While neither particularly long or accurate off the tee, my selection is a demon from the fairways, and both on and around the greens. Those are the key weapons on this testing track where he has already shown good form. A winner this year at the Volvo China Open, the young Swede can also point to a third place at the Trophee Hassan II and sixth in Dubai as evidence of his growing stature on the European Tour and another high finish for this rising talent looks a strong possibility. Last week's winner, Matt Wallace, looks worth chancing again. The 28-year-old Englishman is the sort of uber-confident player that can easily go back-to-back and he once won three in-a-row on the Alps Tour. Having been granted an invite to the co-sanctioned Open de Portugal last May by none other than the Chief Executive Officer of the PGA European Tour, Keith Pelley, Wallace hasn't looked back. He won that event and following victories in India in March and Germany last week, he's now won three of his 39 European Tour starts. Victory here on Sunday will see him establish an incredible strike rate and we can all start singing that UB40 tune! I don't know where Wallace's ceiling is and I'm not sure he does but at 50/1 I'm happy to see if he can keep on climbing. Haotong Li looks a little overlooked by the Betfair market this week and I'll happily make him one of the five Betfair wagers at 50/1. China's one truly world-class golfer is a winner already this season, at the similarly high-profile Dubai Desert Classic, and arrives after a hugely respectable 16th place finish at the gruelling US Open. Li was one of only six players to hit two rounds in the 60s at Shinnecock Hills - the others being Brooks Koepka, Tommy Fleetwood, Dustin Johnson, Rickie Fowler and Phil Mickelson so he was in good company - thanks in part to his fine greens-in-reg play (see tweet below). The world number 42 went into the US Open on the back of a tie for 19th in the Italian Open so looks to be coming into good form and he has a tick in the course form category, too, after finishing in seventh last time. Li has shown his taste for the big occasion before, note his third place finish at last year's Open Championship, and I'd far rather be on a player with tournament wins in 2018 and 2016 than a host of the 'bigger' names at shorter prices. Proven Le Golf National form is a big plus at the Open de France - backing players like Lee Westwood and Martin Kaymer to finish in the top 10, and lesser-lights like Graeme Storm and Soren Kjeldsen to finish top 20 for example has proved very fruitful in recent years - so I have no hesitation in putting up Graeme McDowell this week. Twice a winner at this venue (2013 and 2014) G-Mac has hinted at a resurgence in form in recent weeks following a couple of barren years by his own standards. A top-12 finish at the BMW PGA Championship was very welcoming, and he followed that up a week later with a top-five finish in Italy, where he closed the event with a final round 64. His scrambling and putting stats were very encouraging at those two events, and it feels like just a bit more consistency from the tee will see G-Mac bounce back to his best. This venue is sure to focus him and get the juices flowing, and I fancy he'll put up a strong showing in Paris.